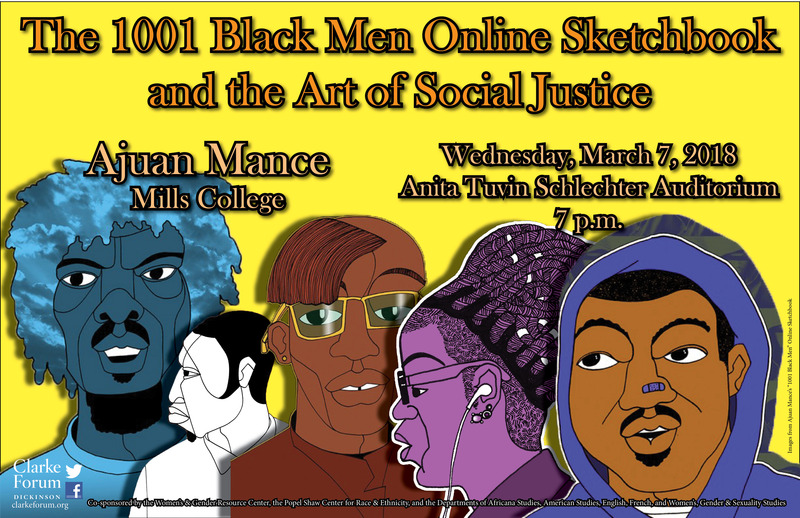 Mance created 1001 Black Men: An Online Sketchbook as a reaction against the controlling images that have limited and defined media representations of Black men. 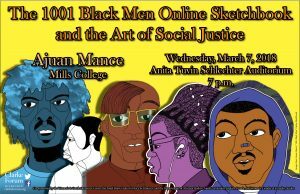 Mance will use a slideshow of images from her series as the basis of a wide ranging discussion of art, Black maleness and gender performance, and representation. This program is sponsored by the Clarke Forum for Contemporary Issues and co-sponsored by the Women’s & Gender Resource Center; the Popel Shaw Center for Race & Ethnicity; and the Departments of Africana Studies; American Studies; English; French; and Women’s, Gender & Sexuality Studies. Ajuan Mance is a professor of English at Mills College in Oakland, California. She holds degrees from Brown University and the University of Michigan, Ann Arbor. A lifelong artist, she works in acrylic on paper and canvas, ink on paper and, for the 1001 Black Men project, ink on paper and digital collage. Ajuan has participated in solo and group exhibitions throughout the San Francisco Bay Area as well as at the University of Oregon, the Woman Made Gallery in Chicago, and the Brainworks Gallery in Los Angeles. Her work has appeared in several digital and print media outlets, including, most recently, Transition, Cog, Buzzfeed.com, NPR,org, The San Francisco Chronicle, and The New York Times. 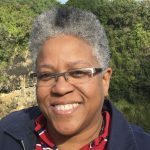 A professor of English at Mills College in Oakland, California, Ajuan is partly inspired by her teaching and research in U.S. Black literature and history. 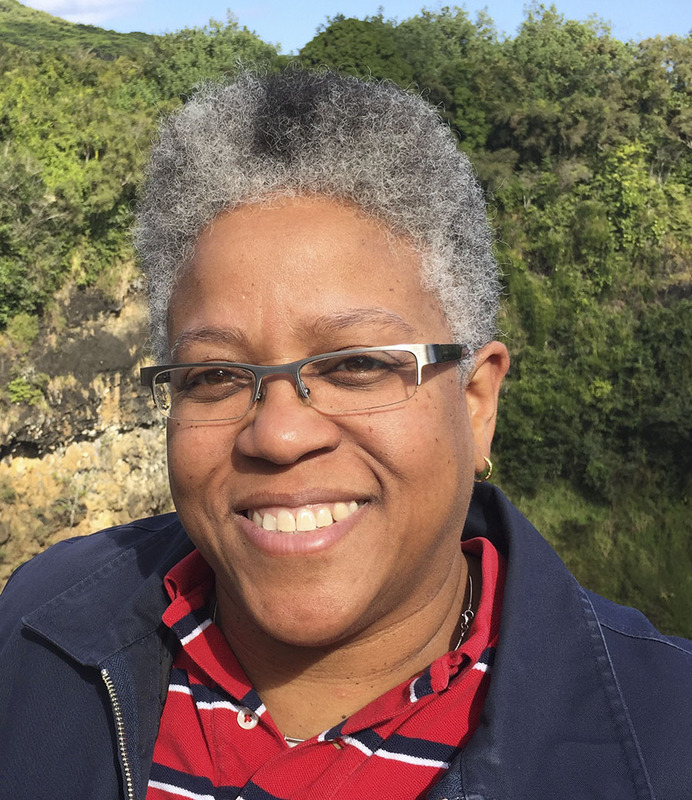 In both her scholarly writing and her visual art, Ajuan explores race and gender, and the literature, lives, and locations, in which they intersect. She is the author of two scholarly books, Inventing Black Women: African American Women’s Poetry and Self-Representation, 1877-2000 and Before Harlem: An Anthology of African American Literature from the Long Nineteenth Century, both from the University of Tennessee Press. She is also the author of several comics and zines, including A Blues for Black Santa, The Ancestors’ Juneteenth, and The Little Book of Big, Black Bears. Gender Studies, her autobiographical comic book series, uses humor to explore her experiences as a Black nerd navigating the complexities of gender.